How does that affect existing leave requests falling on a public holiday? 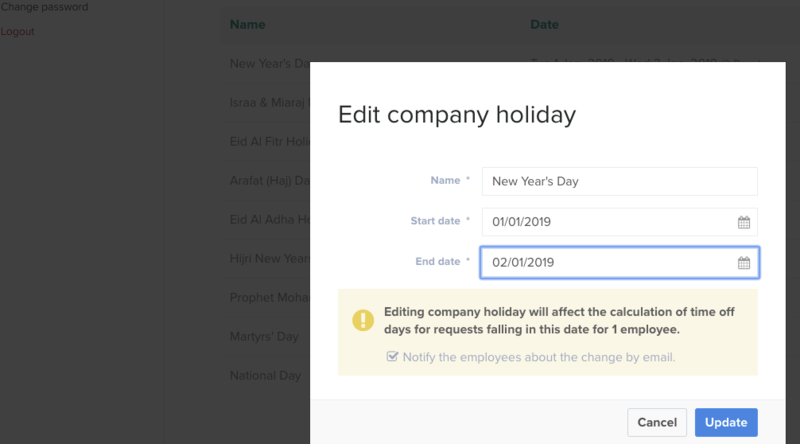 The platform will recalculate the days taken for any leaves applied that are affected by that change made to the number of days or date range of the public holiday. The admin is given an option to send out an email to all the employees who were affected.